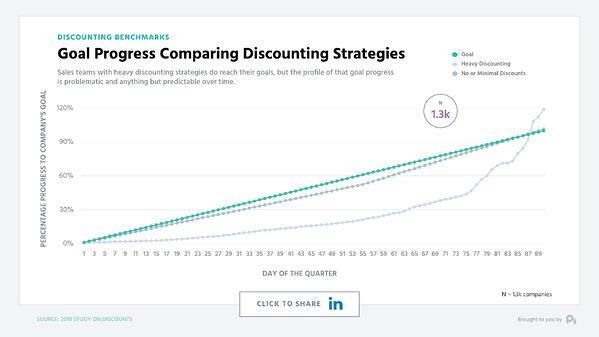 Discounting is a huge topic of interest in the subscription economy, primarily because most people don't know how to discount effectively. As the data suggests, using unnecessary discounts can have a real negative impact on your business. 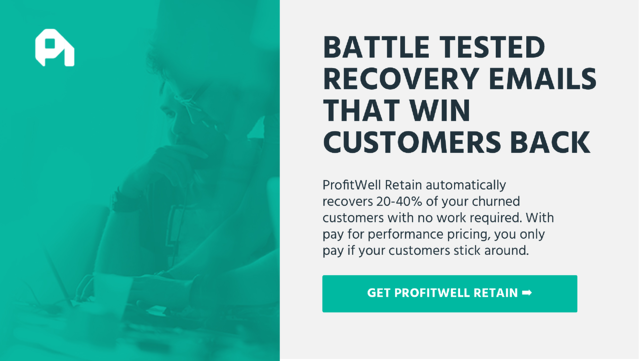 On this episode of the ProfitWell Report, Olof Mathé of Mixmax asks us to dive into the data around discounting. To answer his question, let’s look at the data from over 6,000 companies and 600,000 subscription consumers. 6Chapter 5: Should You Discount? Chapter 5: Should You Discount? Discounts are a virus within our current subscription community, not because they’re necessarily bad, but because we treat them like a sledgehammer instead of a scalpel. To ease in here, let’s first look at the mindset of our sales and marketing teams. 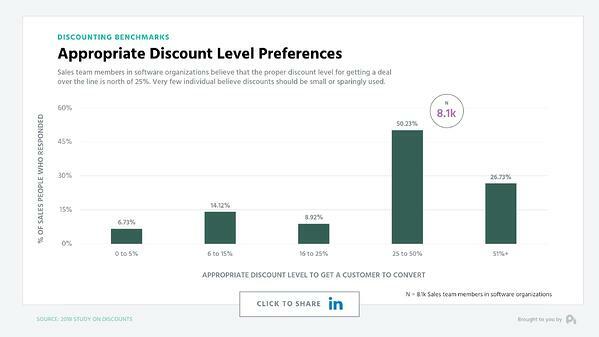 Just over seventy percent of practitioners believe that discounts should be used in some capacity to get customers to convert. On the flip side, less than ten percent of us believe that discounts should only be used as an absolute last resort. This isn’t necessarily bad, but the level of discount we’re willing to give is startling. 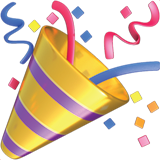 Just under eighty percent of respondents believe that the appropriate discount to give is over 25%. You may be looking at these numbers and thinking this isn’t that shocking, but let’s lay this out for a second. Your price is the exchange rate on the value you’re providing. Your sales and marketing team’s job is to justify that value to the prospect in order for them to convert at that value. Yet, Most of our sales and marketing teams are saying that in actuality, your value is only three fourths or worse. Personally I don’t think we’re aware just how prevalent this phenomenon is within our businesses, because discounts do get us to our goal. When profiling companies who’ve reached their goals with discounts vs without discounts, you’ll note they both cross the finish line, but this success indicates an elementary understanding of unit economics. 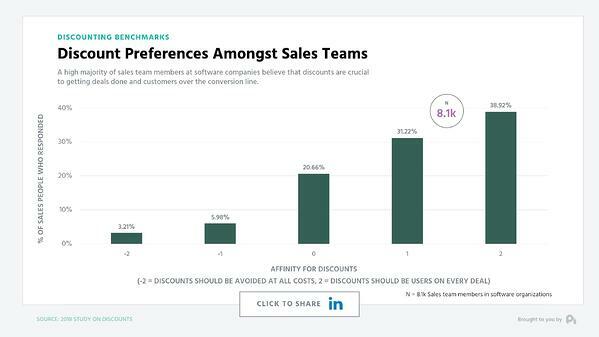 In reality, these discounted customers have just over double the churn rate as those who weren’t given a discount. 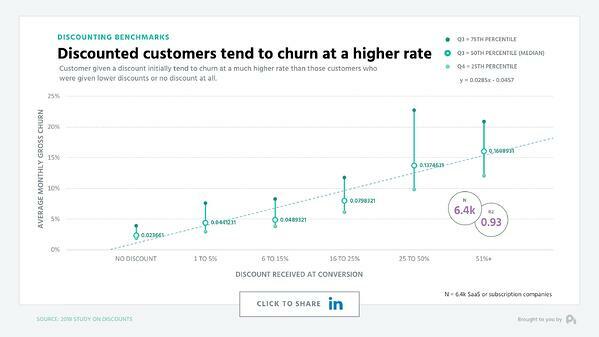 When broken out by the level of discount you’ll notice a strong correlation of churn increasing as the discount level increases. These individuals have simply been trained to devalue the product or just weren’t the right customers in the first place. 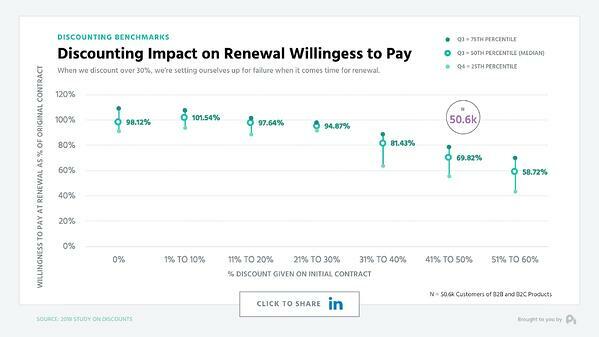 In fact if we strictly look an annual contracts and we look at the willingness to pay of the customer at annual renewal compared to the discount level given at the original purchase, we see a dramatic drop off after the 30% discount mark in willingness to pay. Yet, our teams think this is perfectly appropriate. We’re essentially robbing Peter to pay Paul where Peter is your customer success and product teams who gets dumped the problem of retention. So should you not discount at all? No, that’s not what the data says, but you need to think about a discount as a scalpel - efficiently used as a catalyst to lower the activation energy of a prospect to get them to convert and see the true value of your product with expanded willingness to pay. That's all for this week. If you want us to dig further into this data or any other data, ship me an email or video to pc@profitwell.com. 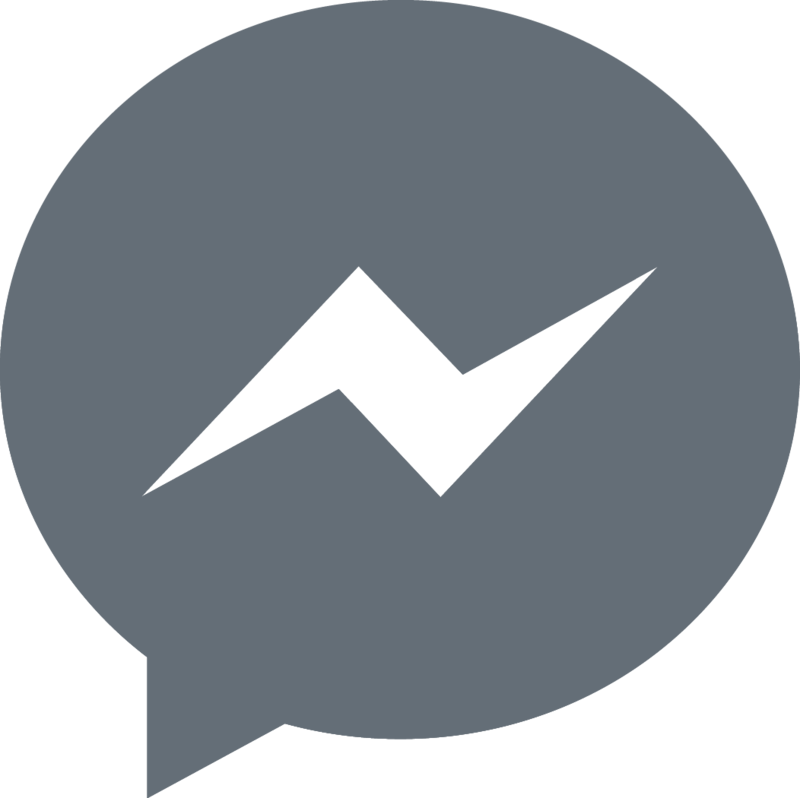 Let's also thank Olof for sparking this research by clicking here to share on LinkedIn.